Singer 2932 will work perfectly if you can get the threading right. Otherwise this machine might frustrate you. It is kind of a love-hate relationship. 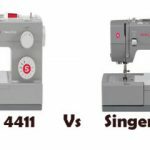 2932 isn’t as popular as other beginner sewing machines from Singer. Currently, it is not available in popular online stores, I guess it will be restocked soon. 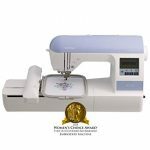 It is a 35 stitch mechanical sewing machine with 7 essential stitches, 14 stretch stitches, 13 decorative stitches and a fully automatic 1-step buttonhole. 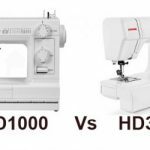 The overall design of the machine is pretty different from the modern sewing machines (glad that Singer has tried something new with this machine). Most modern sewing machines will have the stitch selection dial in front of the machine, 2932 has it on the side. The reverse sewing lever is also different, it is lengthy and looks like a lever for sure. Personally I didn’t like the design of the reverse sewing lever, as it looks fragile to me. Singer 2932 has an automatic needle threader on-board, which saves time and eye strain. The stitch length and width adjustment dial is provided on the top of the machine. Drop feed option allows free motion sewing. Th machine comes with 25 year limited warranty. The machine is not overly heavy, it just weighs around 14 pounds. 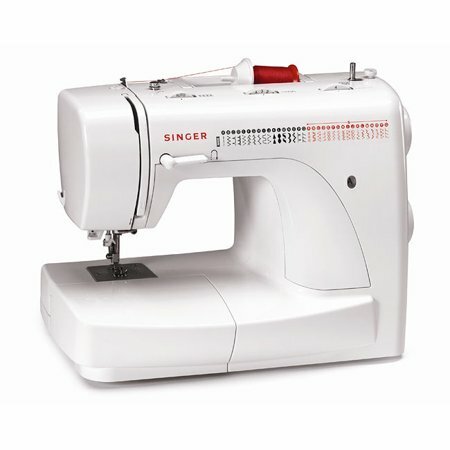 Singer 2932 is not an ideal sewing machine for beginners. It requires a learning curve. If you don’t thread the machine correctly, you are going to end up in all sorts of trouble. Threading the machine in the right way using the right thread is the first and foremost thing to do while setting up 2932. If you get that part wrong, you will curse the machine ever after. A lot of people had trouble with thread nesting, bobbin jamming and hence it failed to become a popular choice for beginners. Those who got the threading part right, had no trouble with the machine, whatsoever. The machine has a good variety of stitches on offer. The stitch quality is pretty good but it is not ideal for multiple layers of heavy-duty fabrics like denim (4 plus layers). The machine seems to struggle in such cases. Design wise, Singer could have come up with a drop-in bobbin instead of side-loading. Modern day sewers always find side-loading bobbins difficult to use. Moreover, it is kind of old fashioned nowadays. The automatic needle threader is stiff at the beginning and it loosens with use. Foot pedal control is something that you need to get used by practice. It is a love-hate relationship for some. Singer 2932 is not the easiest machine to use, by any stretch of imagination. But those who got the hang of it had no trouble at all. As a beginner, we will always be looking for an easy machine to use from the word go, in that case 2932 may disappoint you. 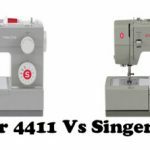 Couple of alternatives you can consider are Singer 4423 and Singer 7256. 4423 is a 23-stitch sewing machine. 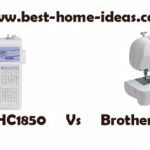 It is one of the best heavy duty sewing machines around and the best available for the price. The second alternative is the Singer 7256. If you ask me, I prefer this machine over the other two, just because of the quality and features on offer. But you need to keep an eye on the price. The price has dropped quite a bit recently and that is the reason why I am recommending this as an alternative. I don’t know how long the price drop will last. 7256 is a 70-stitch sewing machine with drop-in bobbin, automatic needle threader etc. Features and quality wise, this machine is way ahead of the other two. Do watch the price and if it is affordable (somewhere in the price range of 4423), go for it for sure because it is a steal.